Phone call Tracking is a relatively new technology, especially considering how long the phone has been a major medium of business. It actually grew out of its online equivalent: cost per conversion tracking. There are two types of tracking: traditional call tracking and integrated call tracking. Both can help you hone your marketing data. This might not seem like a lot, but it can go a long way. You can find out what your cost per call is for any regional advertising, and learn which geographic areas to focus on. You can also identify the characteristics of unique and repeated callers. However, to take it to the next level you need to integrate your call tracking with your internet lead tracking. AdLuge offers integrated call tracking. It works by displaying a unique phone number to your website visitors. This phone number is automatically routed to your main line. 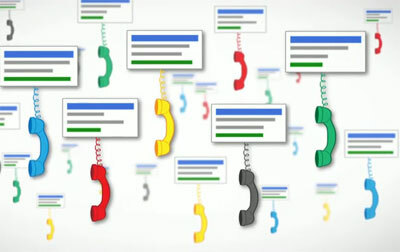 However, integrated call tracking systems can automatically identify which internet visitor made which call based on the number that they called. This allows you to track calls in exactly the same way your conversions. You can find out how a given caller found your site, which exact pages they visited, and what they were reading at the exact moment that they decided to call. This allows you to go beyond Cost Per Conversion and Cost Per Call, to an integrated data set called Cost Per Lead. You can calculate exactly how much it cost for a given advertisement to bring visitors to your site, and exactly what content encouraged the visitors to email or call you. Cost Per Lead takes all the guesswork out of advertisements. All you have to do is figure out what a Cost Per Lead allows you to make a healthy margin, then trim everything that falls below it, and increase the efforts that bring you’re the lowest CPL, AdLuge will tell you all of that. It is a great quantitative way to measure marketing success. If your business relies on large purchases, for example, if you run a medical clinic, large appliance store, or any kind of high price tag luxury goods or services, you might want to go even deeper and track what each individual lead is worth to you. For example, someone who comes into a dental office for a single cavity and never comes back is worth a lot less than someone who comes in for a root canal, a mouthguard, and three exams a year, but both will appear as one lead in the data. However, you can use call tracking to examine individual customer’s activity in-depth. You can find out if they call regularly or if they only call after reading some of your content. You can find out which of your ads they like and don’t like. By tracking that customer over time, you can figure out your Cost Per Profit Dollar, the ultimate measure of good marketing. Call tracking has come a long way in a very short amount of time. I remember, just a couple of years ago, this sort of In-Depth Call Lead Tracking was simply a fantasy for small businesses who could not afford the exorbitant prices of even the most basic of call tracking.